I recently listened to an audio post from NPR (National Public Radio) about how young people are using film to “act on nostalgia from a time they never knew.” Interesting, I never really thought about it like that before. I started photographing on film when I was young, around 8 or so, with disposable cameras. I loved taking pictures and waiting an hour to see what the result was. Feet, bricks, my parents with their heads cut off, sidewalk cracks, animals on the street. Little masterpieces. This podcast talks about the excitement people get when participating in the PROCESS of film photography. Even if you are apart of the digital generation, it’s unmistakable that the film process is a lot more magical than the digital one. The podcast even has the sounds film cameras make; winding, cranking, pulling, loading, shutters, and mirrors. I feel like each little film camera has a such a personality of its own. I’ve discussed before how companies like Urban Outfitters are capitalizing on this realization, especially with their line of Lomography cameras. I love that and I love that it’s getting more people interested and involved with film. Why? Because film is different. NO ONE will ever be able to take the same exact roll of photos you took, they can’t be duplicated. They can come close, but not duplicated. Film is original and real and it delivers that rareness that people so often crave in their personal lives. As I always think to myself, holding a strip of negatives is much more valuable to me than holding a memory card. 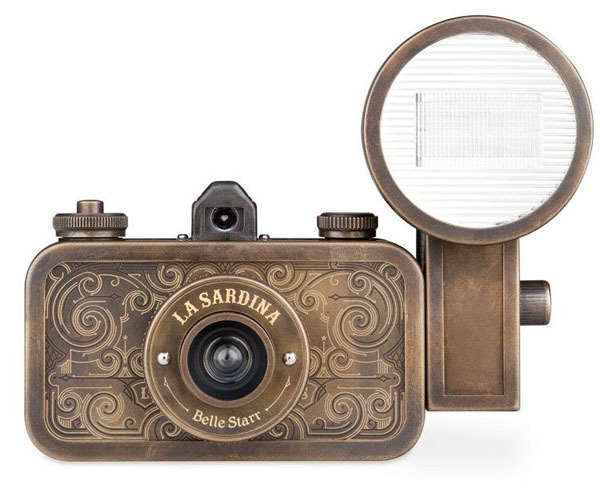 Here’s a photo of a La Sardina Lomography Camera from the line the Urban Outfitters man was talking about. This particular model retails for $200. There are many styles and prices to choose from and it’s 35mm. Lawyer Catherine Tai(ph) is here today to collect a roll she shot. SILVERMAN: She shot a roll of 36 exposures. TAI: I don’t know if any of these came out. Oh, that’s interesting. SILVERMAN: About 30 looked OK. But what’s important to her is not perfection but surprise. TAI: It doesn’t seem to make sense because the digital technology is so fast and so good now. SILVERMAN: Or maybe too good. The joy of film to people like Catherine Tai lies in the suspense between the snapping and the moment you see the results. TAI: When, you know, you’ve dropped off that roll, you have no idea what’s on it. You have all these hopes of, you know, having captured just the right moment. And sometimes they’re very disappointing, what you get back. And sometimes it’s like a miracle. You discover it’s even better than you remembered. Love this article…..it is so exact and to the point….I remember before digital, when I would take my film to be developed, I was so anxious to see how the pictures turned out….as mentioned in your article, sometimes I was disappointed because I’d cut the top of peoples heads off, or have a picture of the pavement….LOL….by accident might I add….but sometimes I’d be pleasantly surprised at how great the picture was! It was always an adventure seeing what developed from my picture taking…Thanks for bringing back the memories! 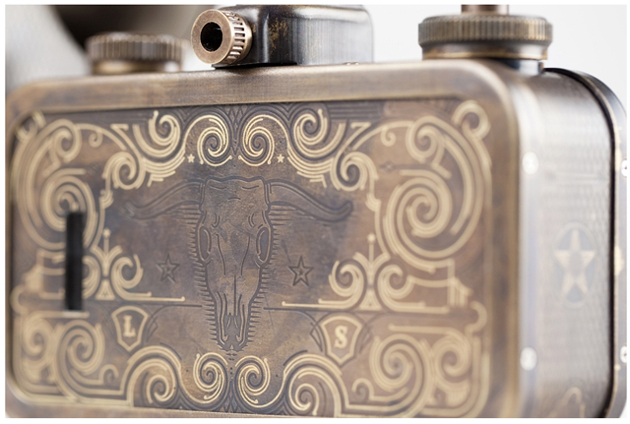 So…just shot the LCD display off on your digital camera, shoot 36 shots (without looking), take the card to a photo place, put it in the kiosk and viola you have recreated the same experience. This idea that film photography is more real, or better because you have negatives versus a memory card is just getting old and silly (of course, it’s just my opinion). Film is great, Digital is great. I did enjoy the interview overall though. I highly disagree, I just personally don’t feel the same level of accomplishment shooting digital as I do film. If I have a memory card, I can just go back and delete something. But when I have a strip of frames I try to make every one actually count since I’m limited per exposures. I love digital too tho! It’s great for what I do for work, which is photojournalism. But I just feel like I’ll always feel more accomplishment with a successful roll of film. In my opinion the huge difference between film photography & digital is that digital photography can be manipulated in so many more ways. In certain circumstances that could be a great asset; however if you want a photo to be more “pure” or raw and with all the natural flaws that happen to be included film definitely seems the way to go. I guess the bottom line is what look one is actually trying to achieve. Both have their own special attributes. Agree! Those flaws are why I prefer film.